Over a year ago, I took my parents to see the movie Jiro Dreams of Sushi. It was fantastic documentary filled with gorgeous food imagery that immediately inspired me to seek a similar sushi experience in Tokyo. I’ve been fortunate enough to eat some great sushi throughout my life but after watching the movie, I realized that there was a whole different level of sushi that I was curious to try. I wanted to see if sushi could be “that much better”. 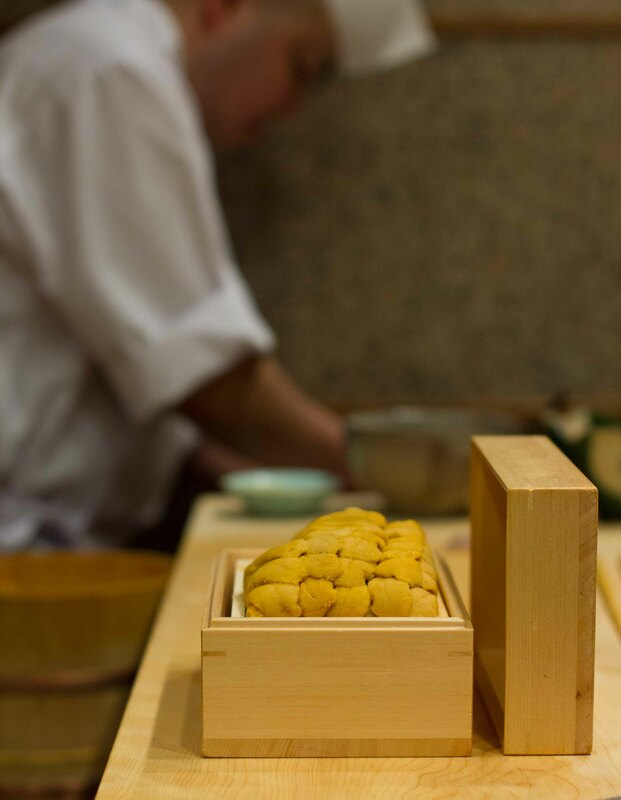 Many people asked me if I was going to try to get into Jiro Sukiyabashi while I was in Tokyo, but after looking into it, it’s seemed like it would be more challenging (hard to get in to and less friendly to non-Japanese). I’ve heard the pacing is very fast and that it’s very expensive (as opposed to just expensive). After researching the Michelin starred choices in Tokyo, I chose Sushi Kanesaka because they are less serious, english friendly (although I would have been ok if it wasn’t) and allows you to take photos (seeing as I was dining alone, it seemed like a shame not to be able to share it with others). After getting lost so many times during my first few days in Tokyo, I did a trial run on googlemaps to show me how to get there. I was happy Sushi Kanesaka was within walking distance from my hotel as it was turning into a gloomy evening. As I walked alone through bustling Tokyo, I started to get nervous that this meal, the one I was most anticipating on this trip wasn’t going to live up to my expectations. I’ve been dreaming of this upper echelon of sushi ever since I watched “Jiro Dreams of Sushi” and was hoping it would result in an “a-ha” moment for me. 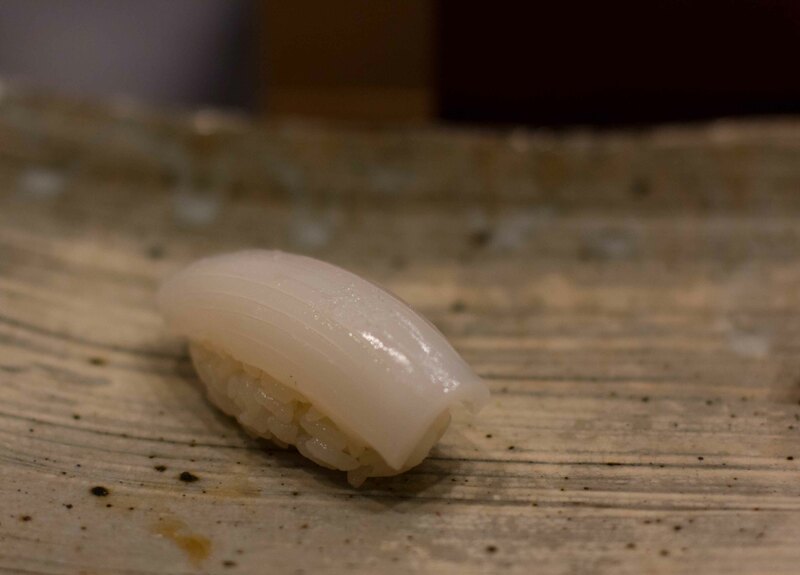 I also pondered whether or not I was overdoing it in Tokyo, considering including Sushi Kanesaka, I would have conquered a total of 4* Michelin in under 48 hours. As I walked down the stairs that led me into the restaurant, all nervousness subsided. I knew this was going to be a meal of a lifetime. I was seated at the counter and I was a bit disappointed that I wasn’t being served by Kanesaka-san, but was seated in front of his 2nd, Sanpei-san. I quickly got over that, knowing this meal would be exquisite nonetheless. I had chosen the ¥20K menu in advance as I settled in, I was asked if I had any dislikes (NO), quickly served a beer and was immediately served my first course. 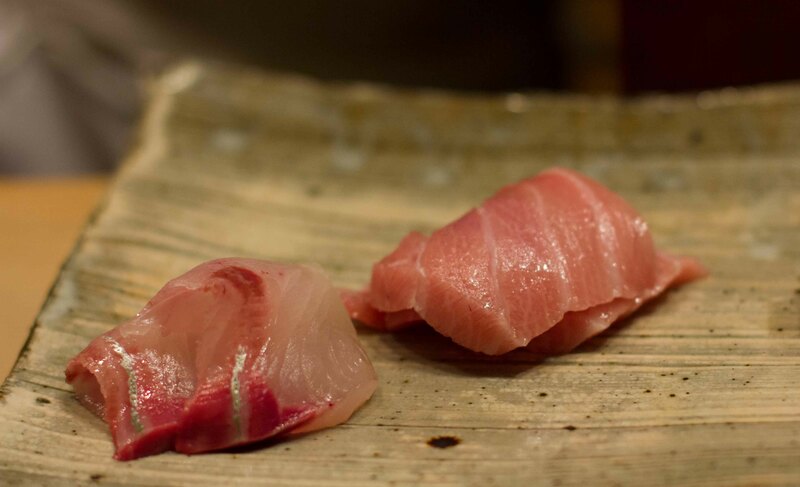 Hamachi sashimi – delicate and subtle, 2 adjectives not usually associated with hamachi. 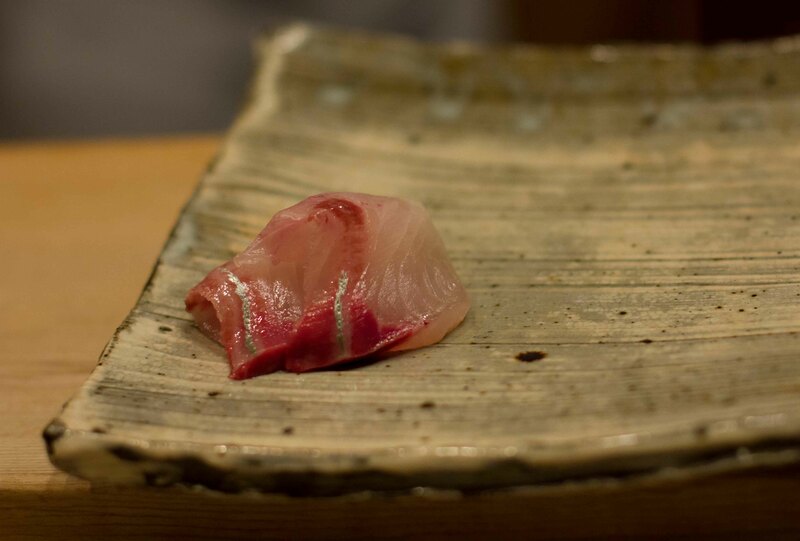 Chu toro sashimi – the middle grade of the fatty tunas. 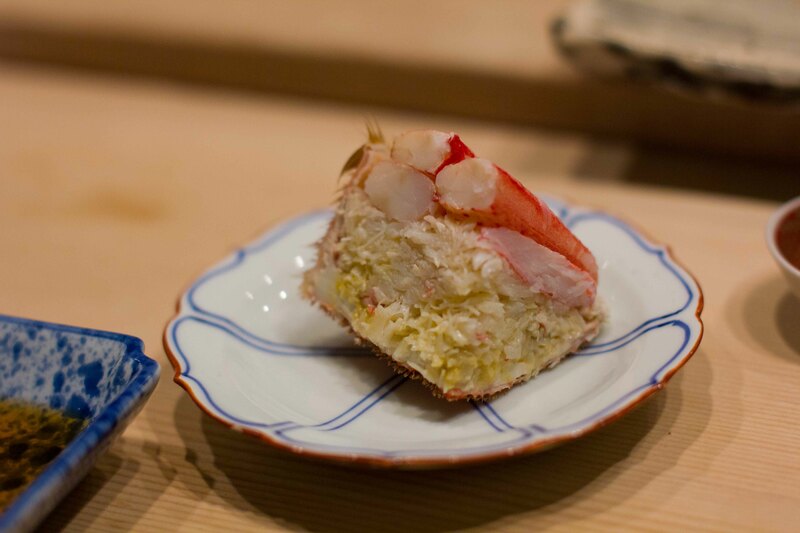 Hairy crab subtly sweet, no need to use the ponzu on the side. 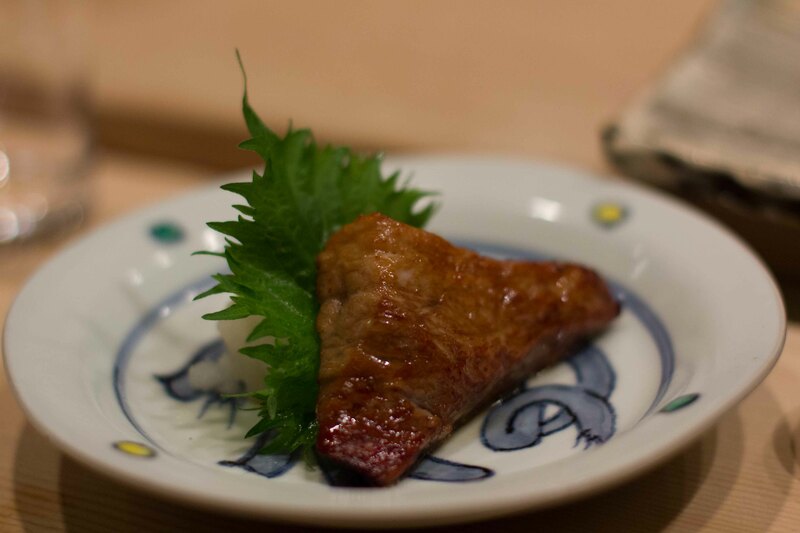 Grilled kobashira – dry roasting makes the outer skin texturally different from the silky middle. Grilled maguro (tuna) cheek – I usually think it’s such a waste to cook tuna, but the light sear made this wonderfully rich and buttery. The first 5 dishes were over before I knew it. 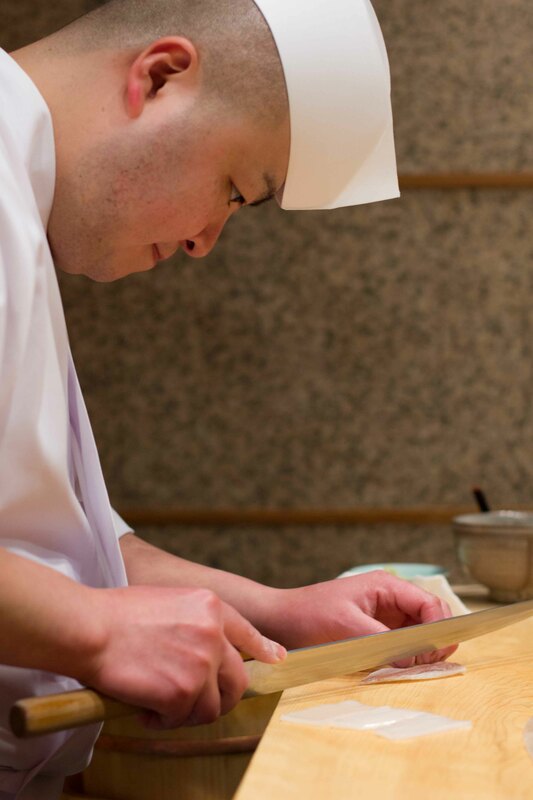 I was having a hard time concentrating on the wonderful flavours of the food being presented to me because I was absolutely mesmerized by Sanpei-san’s preparation of the sushi. Akami maguro (lean tuna) – I appreciated the texture of the rice and that it’s served with the proper proportions of soy and wasabi. 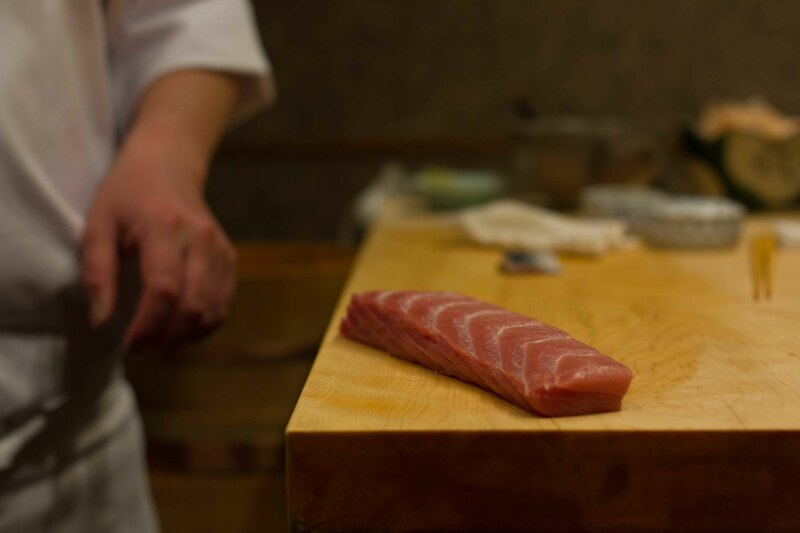 O-toro (fattiest tuna) – The grand daddy of all fatty tunas had a creamy texture. The fattiness of the tuna was cut perfectly by the flavourful vinegared rice. 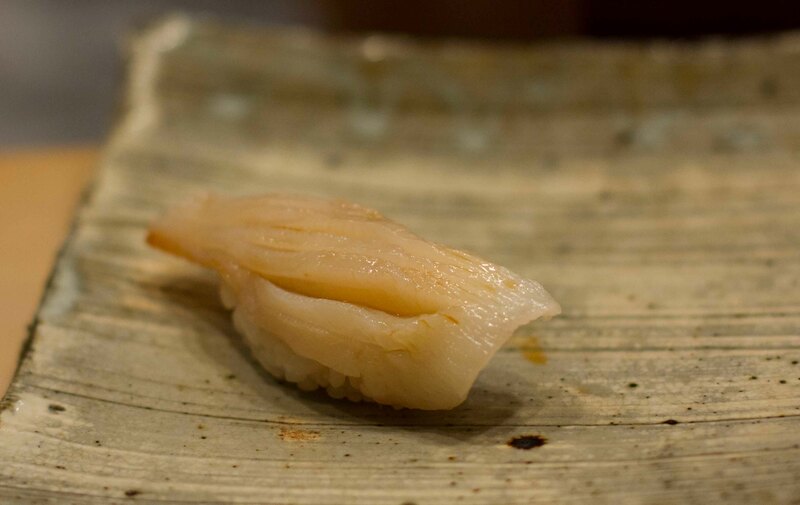 Ika (squid) – Japanese squid is soft with great flavour, nothing like the chewy rubber we have at home. Topped with a squeeze of lime and a flourish of salt, I remembered how much I’ve always liked ika in Japan. 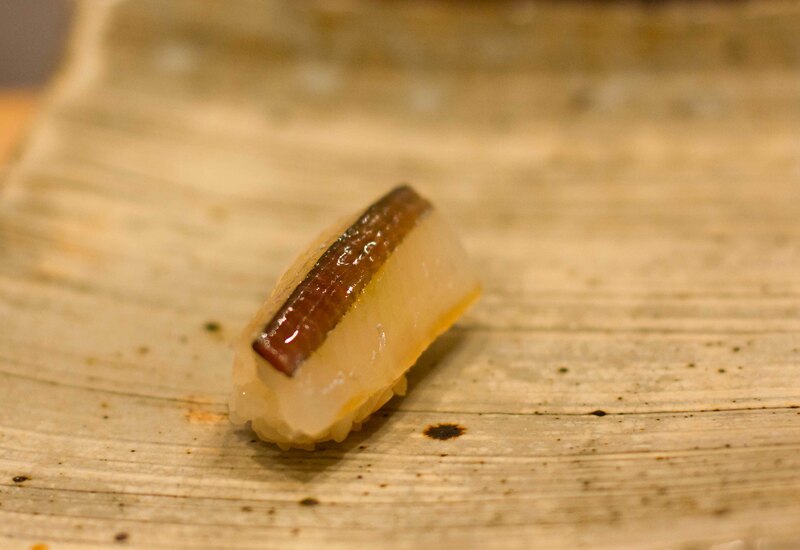 Sayori (halfbeak needle fish) – my new discovery on this trip and I love it. When I asked what this was, I got “snapper” in return. I asked again in Japanese and should have written it down. Mirugai (geoduck) – slightly chewy, sweet and tasted like the ocean, the contrast between this and the rice made me have the “a-ha” moment I was looking for. 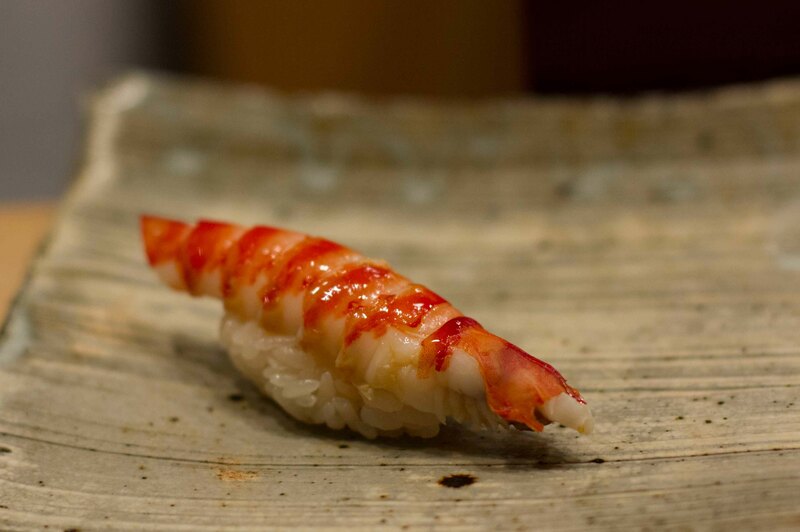 Kuruma ebi (prawn) – I’m always skeptical of prawn sushi, at home I think it’s meant for people who don’t like raw fish. But this was peeled carefully to include the head fat that I think is the “best part of a cooked ebi”. Thumbs up. 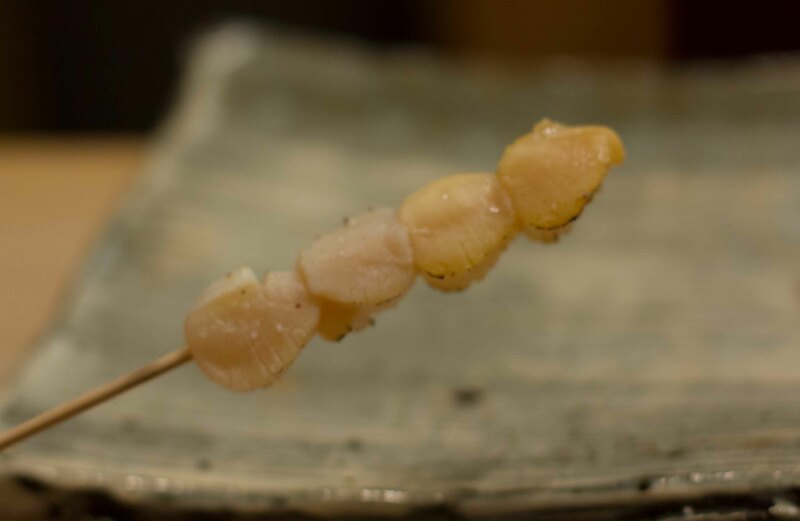 Kobashira – at first I thought this was scallop, but it’s actually the connecting muscle of a clam. 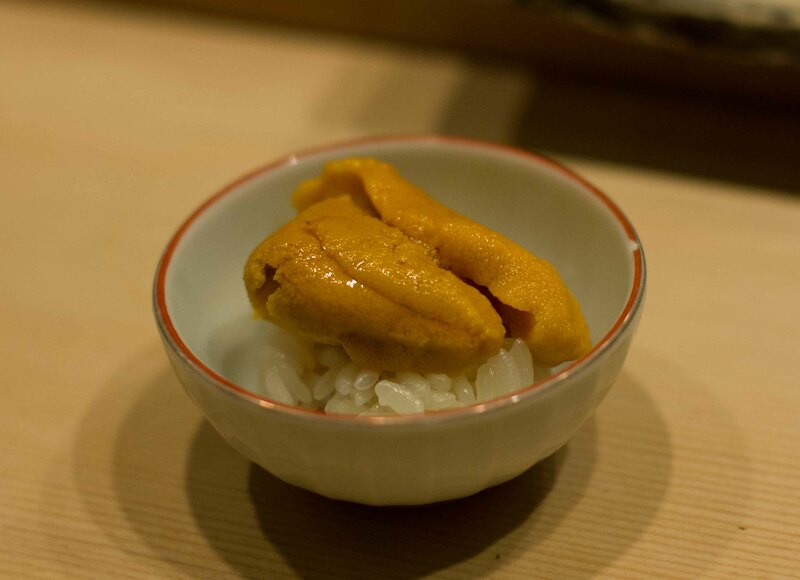 Uni – the small lobes of sweet, creamy and slightly salty sea urchin were sublime. 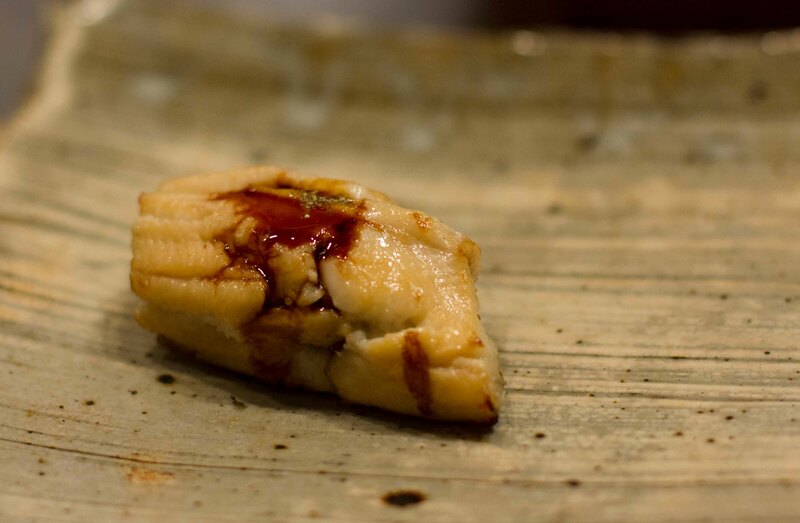 Anago – not a big fan of unagi, anago (sea eel) is much softer and delicate. I loved the perfect drizzle of tare and the sprinkling of sansho pepper to enhance the flavour. Another happy discovery! 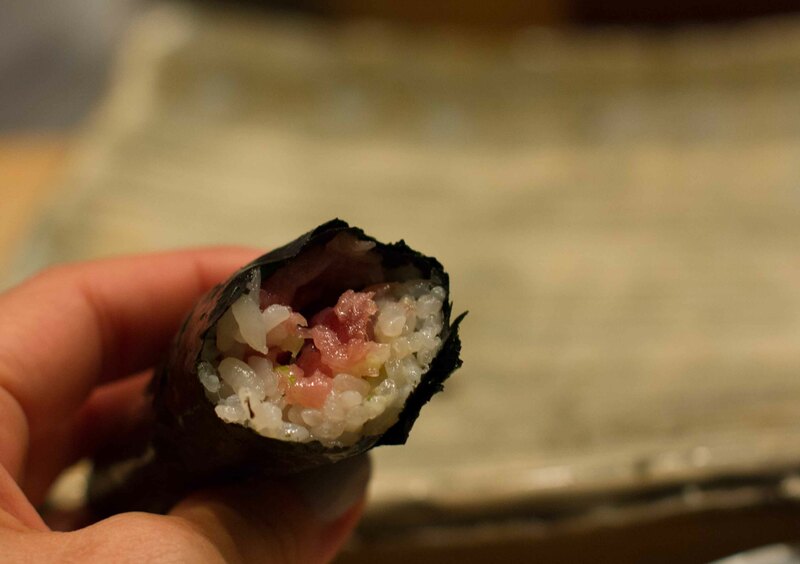 Negitoro hand roll to cap off the fish course. 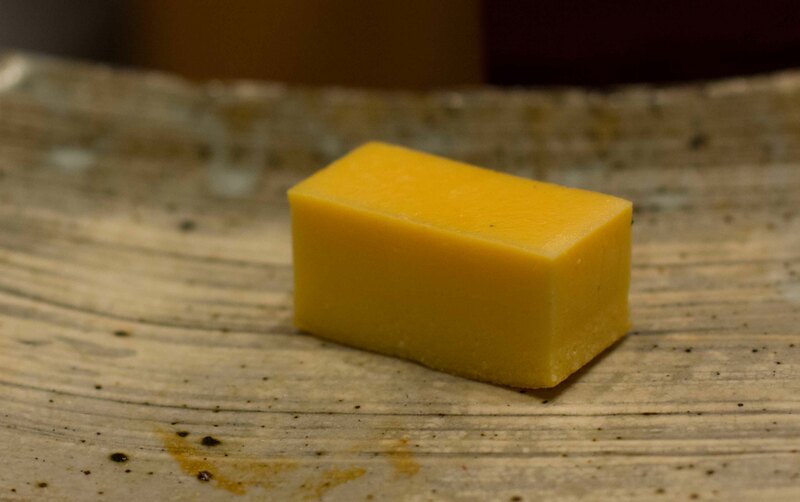 Tamago – another thing that I usually consider as cheap filler on a North American sushi patter, this egg was meaningful. Soft, sweet and almost custard-like with the subtle flavour of shrimp. When I tasted this, my eyes opened wide in wonder as the lightbulb turned on above my head. The perfect way to end the meal. The meal was over and it was indeed epic.I enjoyed the pacing and progression of the meal. It was fast, but not rushed. I ate things that I’d had before, but were almost unrecognizably the same thing. I’m sure most people think of the rice ball that sits under piece of fish as the vehicle, and most of the time, I think of it as filler. At Kanesaka, both the fish and the rice are equally important. I was reintroduced to the notion that the proper balance between each component is what elevates sushi to the next level. I listened as Sanpei-san explained that when he serves a man and a woman the same set menu, he must pack the rice a bit more for the man, so that the meal can be equally filling for both but done in such a way that neither notices that one piece is bigger than another. I love learning this kind of information. I know eating a meal like this is not in everyone’s price range, nor would a lot of people be able to appreciate the special nuances between good sushi and sushi at this level. 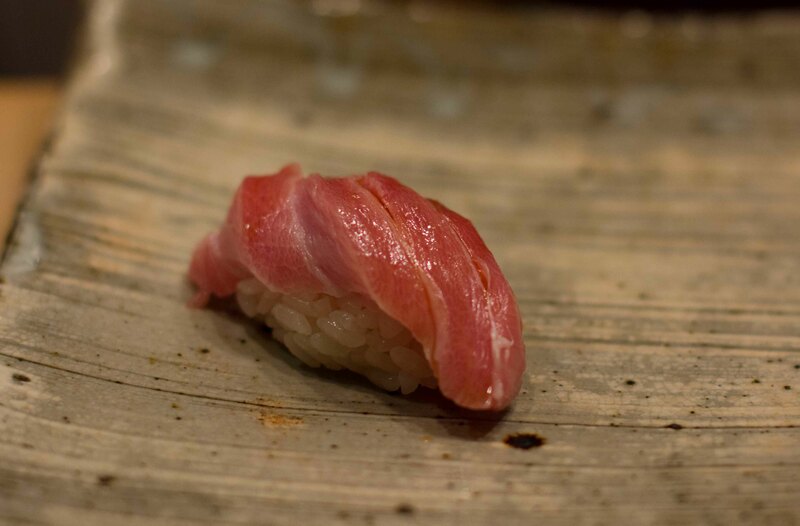 But I am a sushi snob, and after watching Jiro Dreams of Sushi I felt justified in my snobbery. After my meal at Sushi Kanesaka, I feel like I am in an elite club of people who are lucky enough to experience the best of the best. 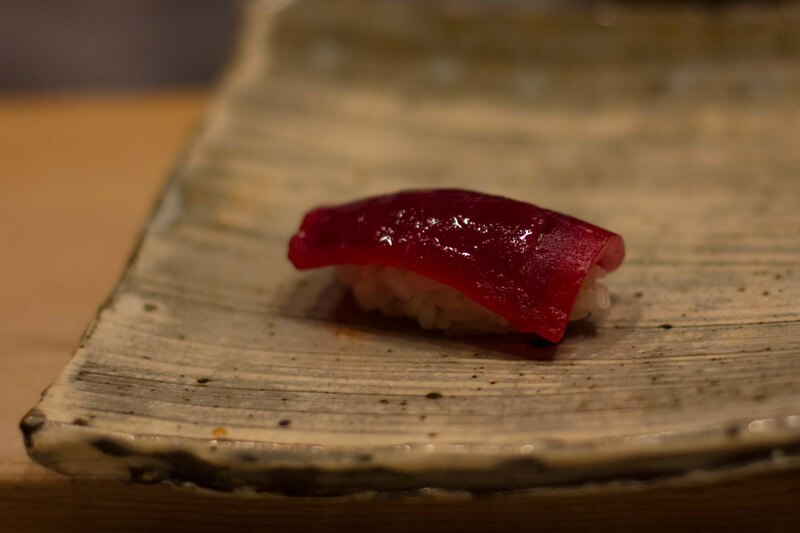 Jiro Dreams Of Sushi should be a must-see for all foodies. 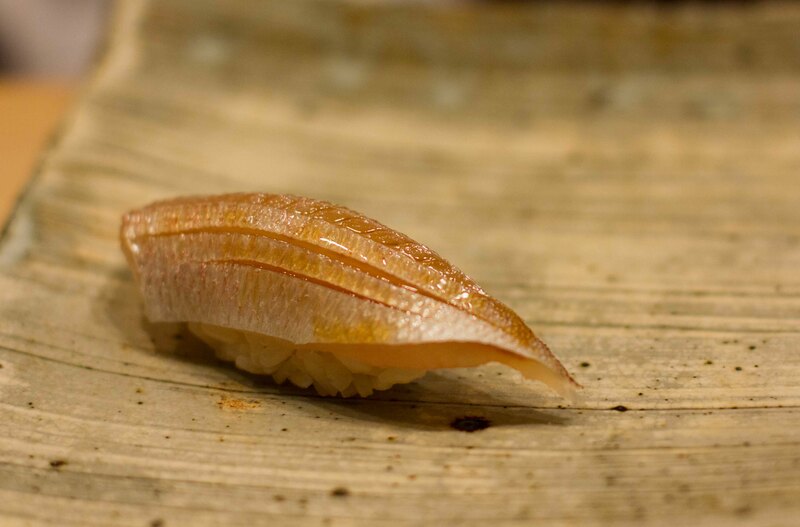 Even if you don’t like sushi, the devotion and level of mastery is awe-inspiring. Loved reading this review and thank you for sharing your photos. 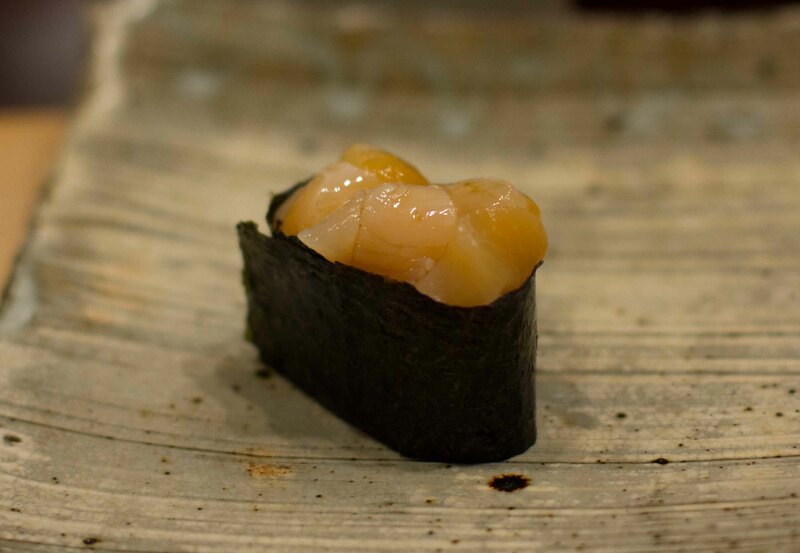 Great idea checking first if taking photos was ok.
I’ve only eaten geoduck a few times and never raw. When cooked, it was very chewy. Great to see that the raw version was your a-ha moment. I always serve larger portions larger appetites but it’s usually quite obvious. It must be nice to be able to pack down to hide the difference. Nice tidbit of info! Now you have done 4 Michelin stars in 48 hours, do you feel satiated? Or do you you feel like your standards are now through the roof and your next week of meals will be a let down? Very nice review. 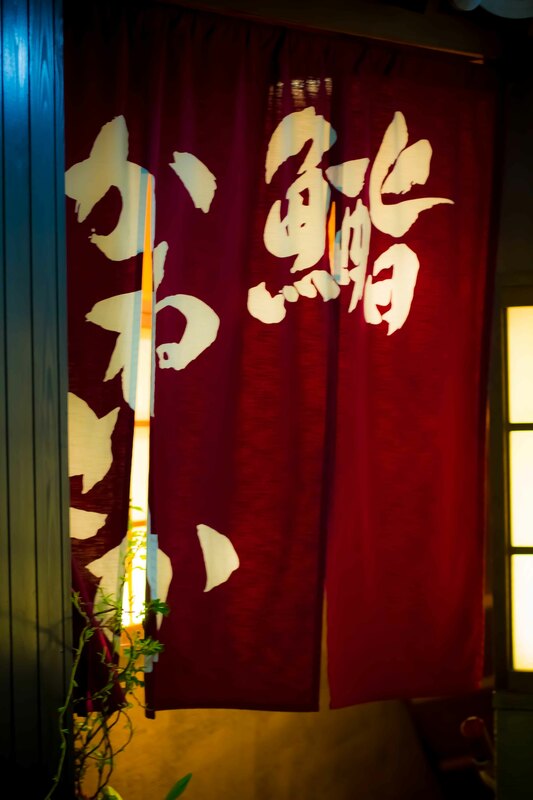 Am heading to Tokyo this weekend and we have reservations at Sushi Kanesaka too. I wasn’t sure which sushi restaurant to book with so many wonderful options. A friend of mine recommended this one and reading your review makes me confident in my choice. Thanks! Have a wonderful time Kanesaka. It’s still one of my favorite meals of the year. We picked this place because of your review. Thanks for the post and we had a great time there. I’m so happy for you. Thanks for reading! Hi, this looks great. We’re going to Tokyo in November and am looking forward to this place. Just wondering, where exactly is it? Google takes me to the Palace Tokyo Hotel 6/F. But above you said you had to go downstairs to it. There also seems to be 2 different phone numbers – the Google one is different to the one on the TripAdvisor website. I just don’t want to end up going to the wrong place if there are 2 of the same name! There seem to be 2 locations now. I went to the one in Ginza ( and yes it was downstairs). I think I’ve seen it referred to as the “Main restaurant”. I’ve never been to the other, so I can’t comment on that sorry. I’d hope though, that both would offer the same quality but perhaps the one in Ginza would have a better atmosphere seeing it’s not located in a hotel? I ended up rebooking. A bit drama, but all cool. Thanks! Hi! Sorry this may be a silly question – but how did you make a reservation at this place? Not a silly question at all. I used my concierge at my hotel to get my reservation. I’m not sure if all concierge’s can score “good” reservations, so I made sure I stayed somewhere that was reputable, so that I knew they’d be respected when calling for the reservations I wanted. Good luck!